I like the Dallas Show, have since the first year I attended. 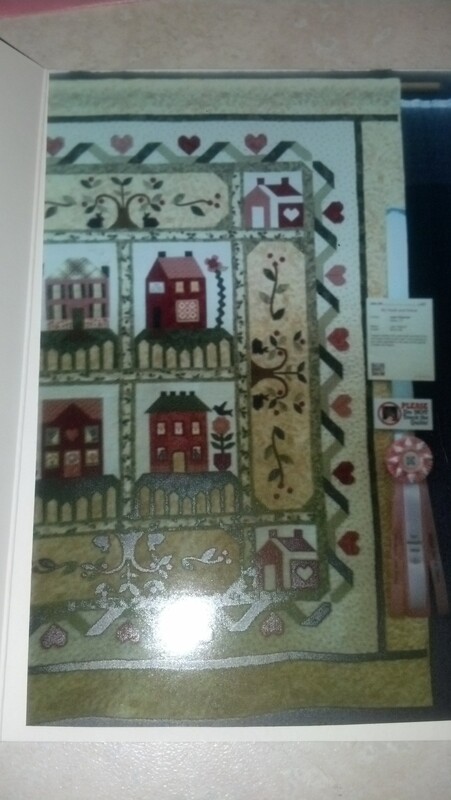 I like that it has a wide variety of quilts on display, from the ridiculously ornate show stoppers (or winners, more precisely) to the simple and simply quilted t-shirt quilts. 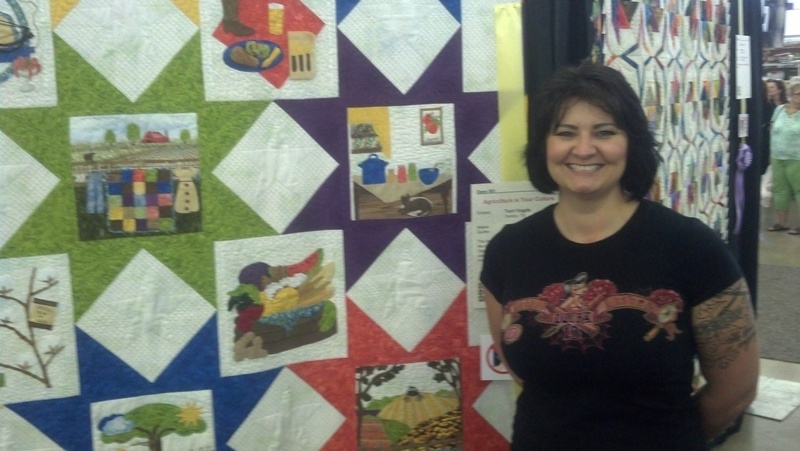 Antiques, groups, art quilts, and plenty of vendors. 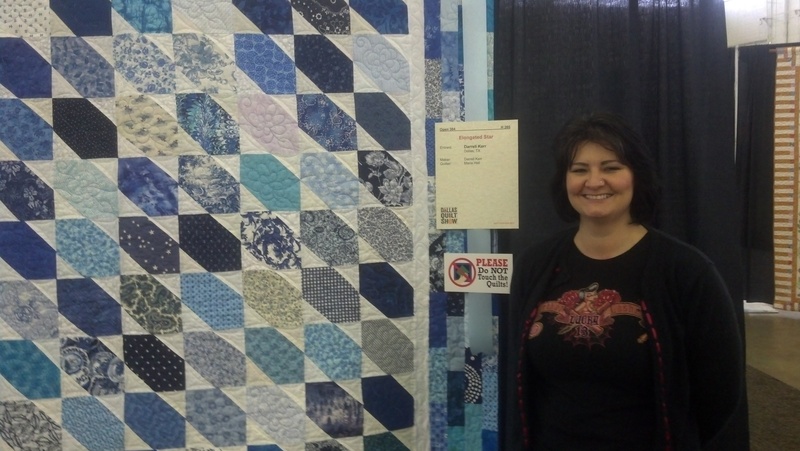 I think there were A LOT more vendors in Houston at the International Quilt Festival, and I also believe there were more vendors at the Dallas show last year. Maybe it was just how they were organized… But in Houston there were also so many people in and around the vendors, that I felt like shopping was nearly impossible. 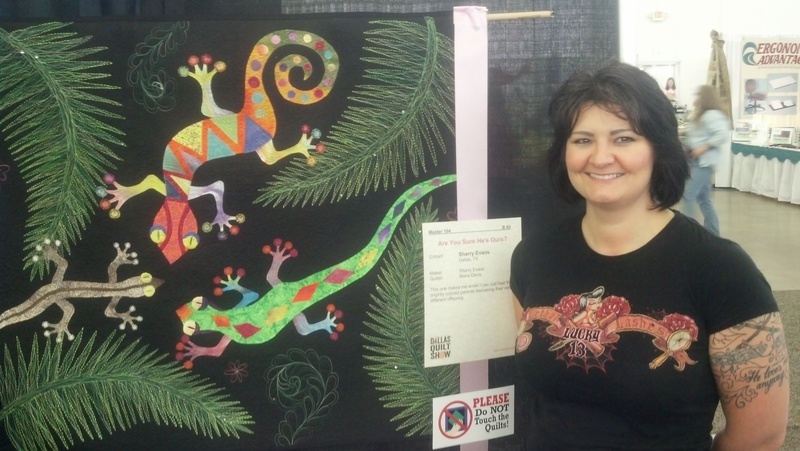 I knew this year I had a number of people that I quilted for entering their pieces in the show, so I was really excited to go see my work on their work hanging on display. 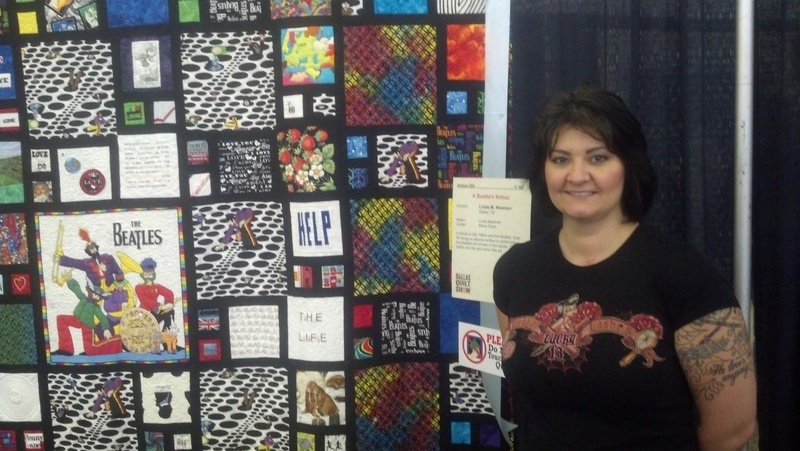 I was pleasantly surprised by the number of quilts that ended up in the show with my name on them. 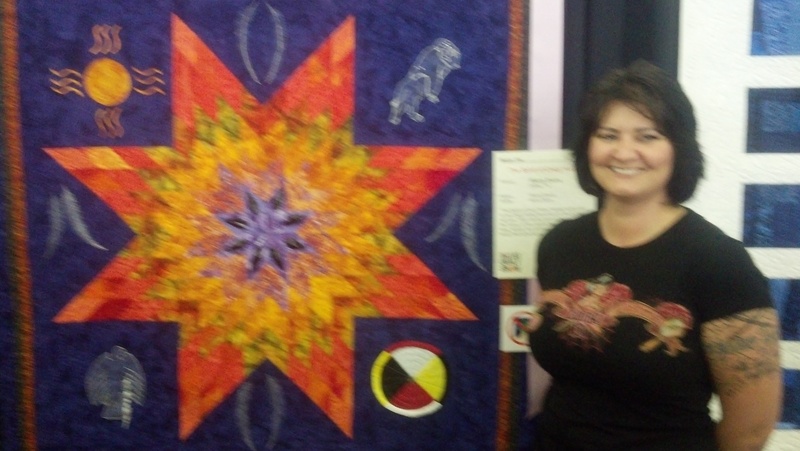 i apologize for the blurry pic… She also told me this was going to end up in the Crazy Horse Museum in SD! 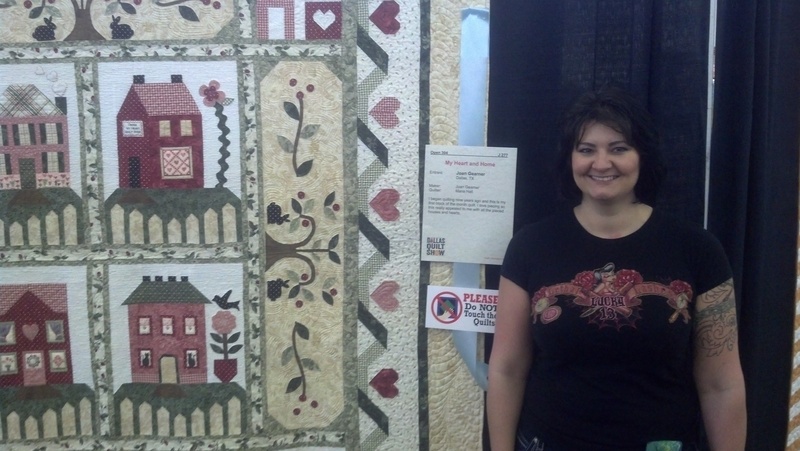 there was another quilt of this same pattern in the show. pretty interesting! Just wish I got a copy of the ribbon to hang on my wall ;). 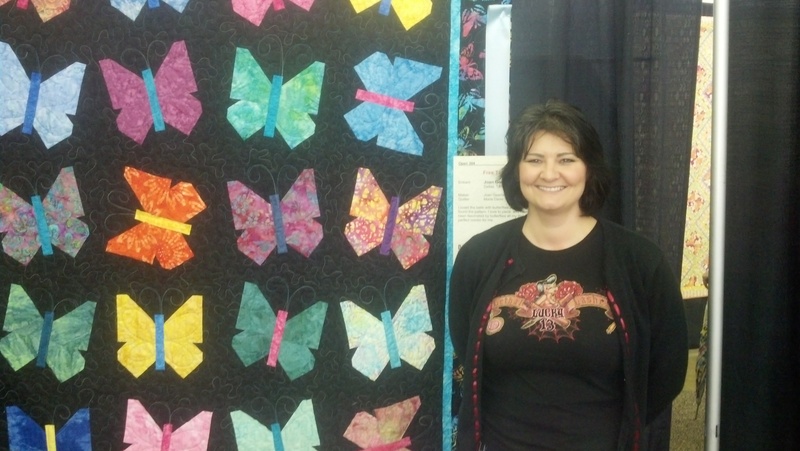 I guess that means I need to CREATE my own AND quilt it for next years show!! 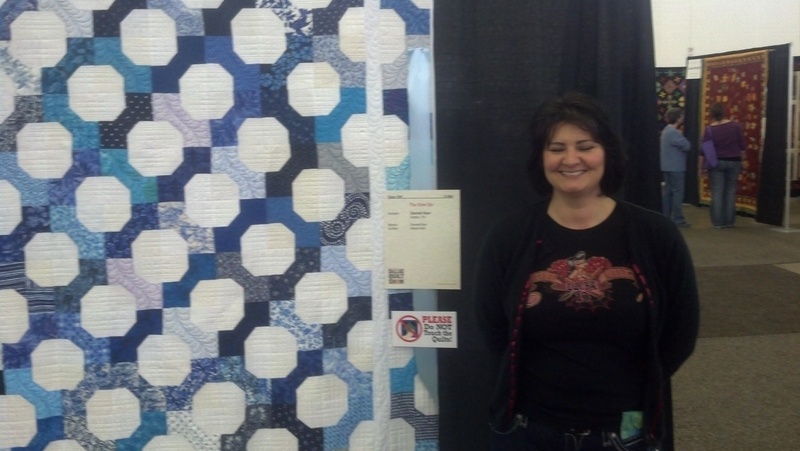 Happy quilting my friends – hope you enjoyed the show as well!